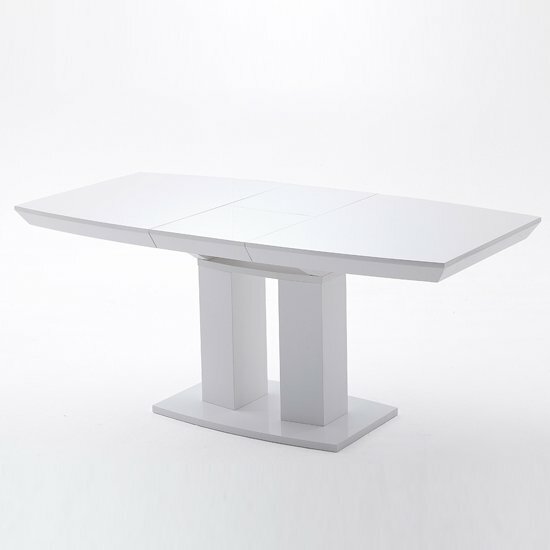 This dining Table has an extravagant column table that will leave a lasting impression on your family and your guests with its quality, its futuristic elegance and the use of high quality materials with the pedestal table Genoa with pull-out function. 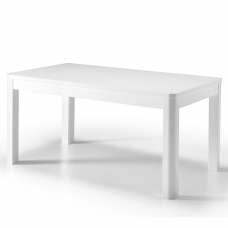 The table is made by the manufacturer means using materials like (MDF), a particularly stable and very good processed wood with a laquered white finish. 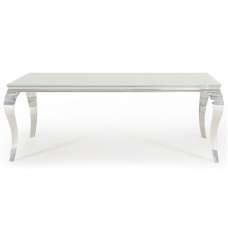 These plates are painted in high-gloss white after cutting and lend an extravagant and elegant look of the table. 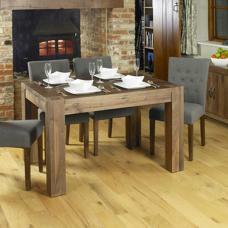 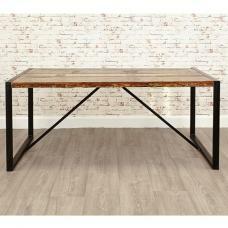 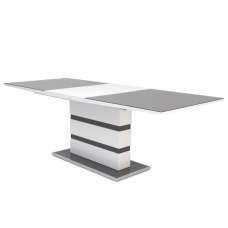 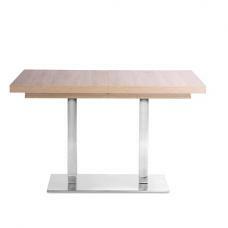 The design is complemented by exceptional foot with two separate columns and the slightly oval tapered table top. 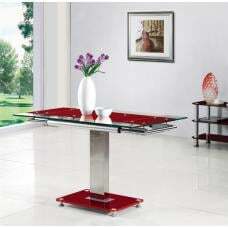 The Extract function, the table if necessary can be enlarged and offers sufficient space then even the extended family to the panels. 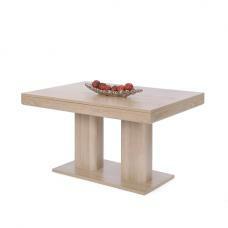 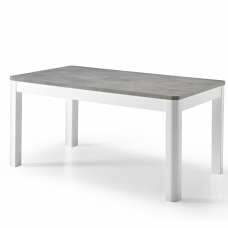 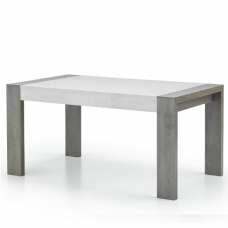 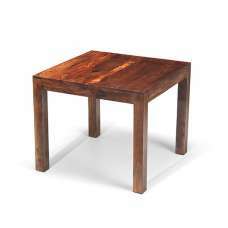 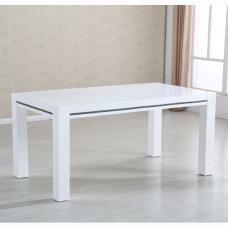 With its excellent processing and the solid construction the table of Genoa is a piece of furniture.